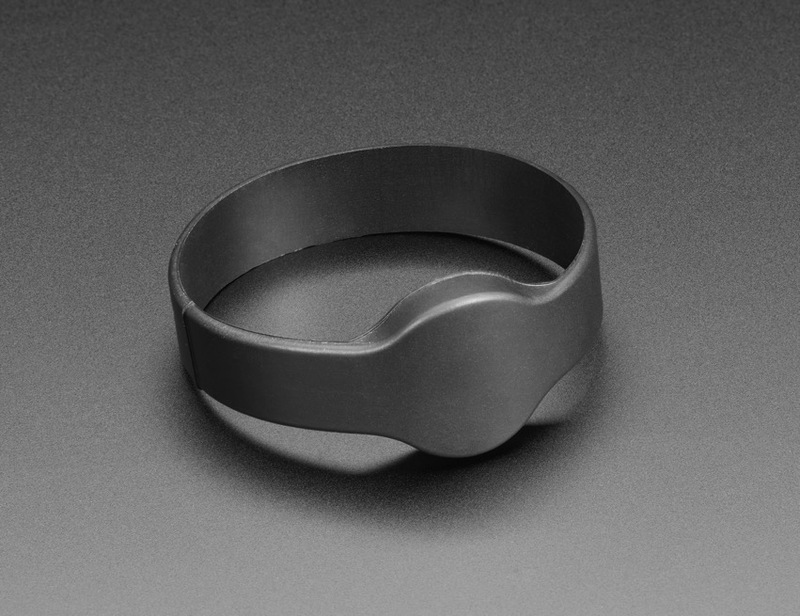 NEW PRODUCT – 13.56MHz RFID/NFC Bracelet – NTAG203 Chip « Adafruit Industries – Makers, hackers, artists, designers and engineers! 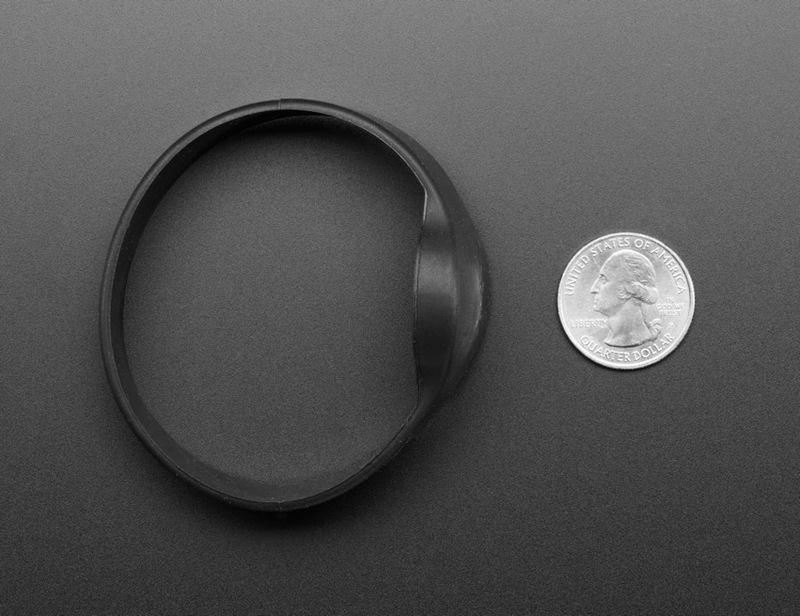 This is a blank 13.56MHz RFID/NFC Bracelet with an NTAG203 chip – often used for train/bus passes, information sharing, contactless payment, but also found in other systems where a proximity card is desired. 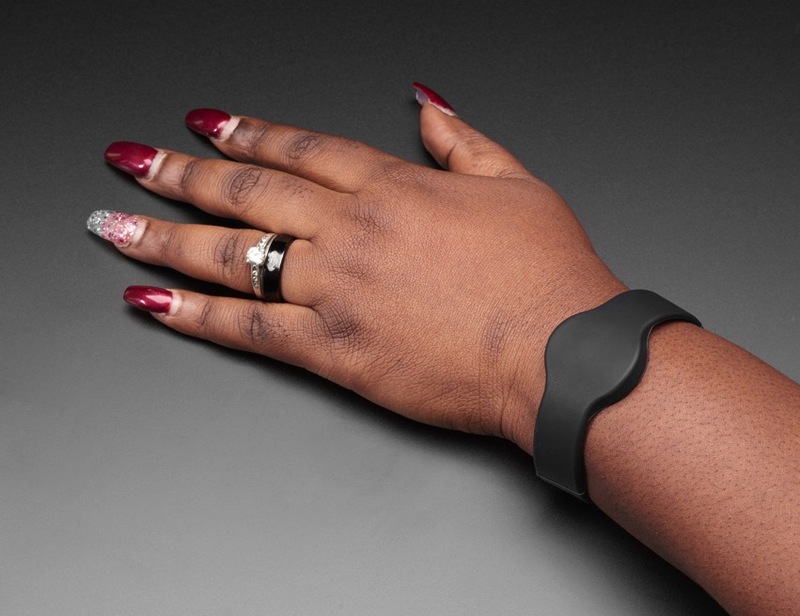 The bracelet contains a small RFID chip and an antenna, and is passively powered by the reader/writer when placed a couple inches away.